The nature of royal weddings as very public declarations of love can cause us to reflect on love and partnership – and on 29th April 2011 when Prince William and Kate Middleton tied the knot, the royal couple took a vow that declared a commitment to love and cherish ‘til death do us part’. But what is ‘love’? What is it that makes us fall in love with someone and can we put a meaning on it? We’ve all experienced love, whether it is a friend, partner, family member, or a pet – but these are all very different kinds of love. So how do we define love when it encompasses such a variety of emotions? 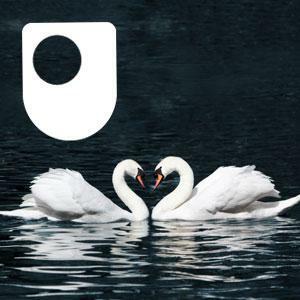 Carolyn Price, senior lecturer in Philosophy, and Timothy Chappell, director of the Ethics Centre, at The Open University, discuss the nature of love, from love as a function, to ‘the Doppelganger problem’ – should we also love another person with the same traits and qualities as the person we already love? Finally, the notion of love as a duty within marriage is explored. Track 1: Can love be rational? Carolyn Price and Tim Chappell look at rationality and love. 1 Can love be rational? Carolyn Price and Tim Chappell look at rationality and love. Play now Can love be rational? 2 What is love? What are the reasons we love one person rather than another, and can love be unjustified? Play now What is love? Plato considered the question a long time ago... but we're still, perhaps, no nearer an answer. Where being truly human means living like a dog. Jonathan Rée introduces the philosophy of Hannah Arendt. Has technology rewired our brains? Explore technology and humanity in this animation from A History of Ideas. This short animation, narrated by Aidan Turner, digs deeper into democracy and proposes philosophers would be great leaders. Sean Crawford explains the Prisoner's dilemma.